Aurora AC replacement doesn’t always have to be a daunting task. If your air conditioning system is no longer doing its job, it may be time to get it replaced. Fortunately, Brothers Plumbing Heating and Electric makes air conditioning replacement in Aurora a real piece of cake. If you want to locate a trusted company that specializes in AC replacement in Aurora, you’ve found it in us. Our industrious technicians are Aurora air conditioning replacement wizards. They’re also skilled in air conditioning system maintenance and repair. If you want to make arrangements for reliable and efficient Aurora AC replacement service, calling our company is always the best and most practical option for you. To learn more about our cooling services, click HERE. Air conditioning systems generally remain working for anywhere between 10 to 15 years or so. If your system is older than that, it may be the right time to seriously contemplate AC replacement in Aurora. If your system needs replacement, you may notice that your property seems a lot dustier than normal. You may notice that your property has more humidity than normal as well. Other possible signs are utility bill spikes, odd sounds and the inordinate need for repair work. If you have even one of these problems, you may require air conditioning replacement in Aurora. If you call us, we’ll have a technician inspect your system in order to decide whether you need repair or replacement work. Our technicians are all skilled air conditioning repair and replacement gurus. If you associate air conditioning service with extremely high costs, you’re definitely not on your own. Many companies charge hefty sums for cooling services. Brothers Plumbing Heating and Electric does not, however. 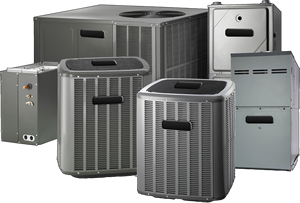 If you want the help of an affordable air conditioning business, we’re more than eager to provide it to you. Our Aurora customers just couldn’t be more thrilled with our affordable air conditioning repair and replacement assistance. High prices just aren’t for us. Thermostat troubles are a pain. The absence of air that feels soothing and cool is a pain as well. If you want to do away with all of your air conditioning troubles, air conditioning replacement service may be the right answer. If you’re looking for high-quality air conditioning replacement work that also is kind to the budget, call our business immediately to schedule an appointment. We work hard to provide customers with the best cooling workaround, hands down. So don’t hesitate. Give us and our Aurora AC replacement professionals a call today. Or if you would just like to learn more about the energy efficiency of Aurora air conditioning system, then just click HERE.